you might find very surprising in a car of this very small size. 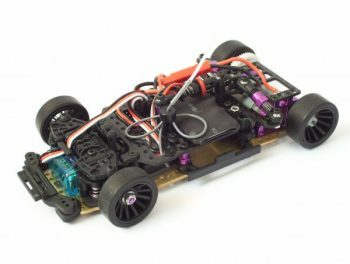 9 built-in ball bearings, an adjustable ball differential with 64dp fine pitch and with V-grooves in the main gears, produced under license of PN racing and a 1S / 3.7V Lipo battery + charger make you really ready to race out of the box. 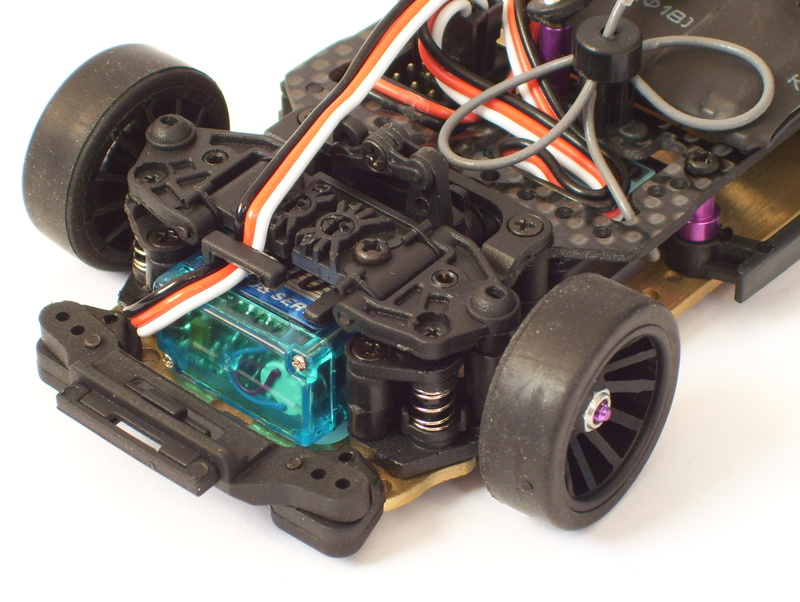 1S / 3.7V Lipo batteries, providing 5.5V current for receiver and steering. if you need 7.4V power supply for your preferred electronics. 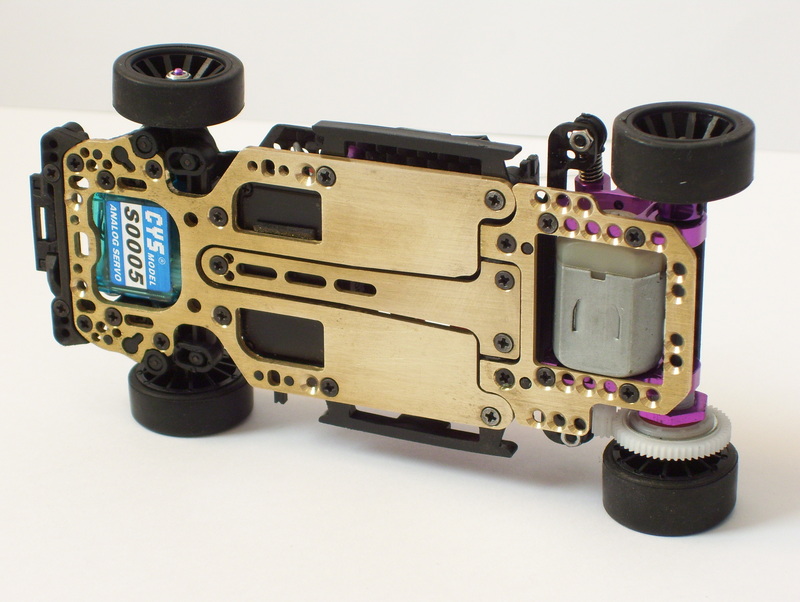 rear scale body holder for wider scale bodies included. 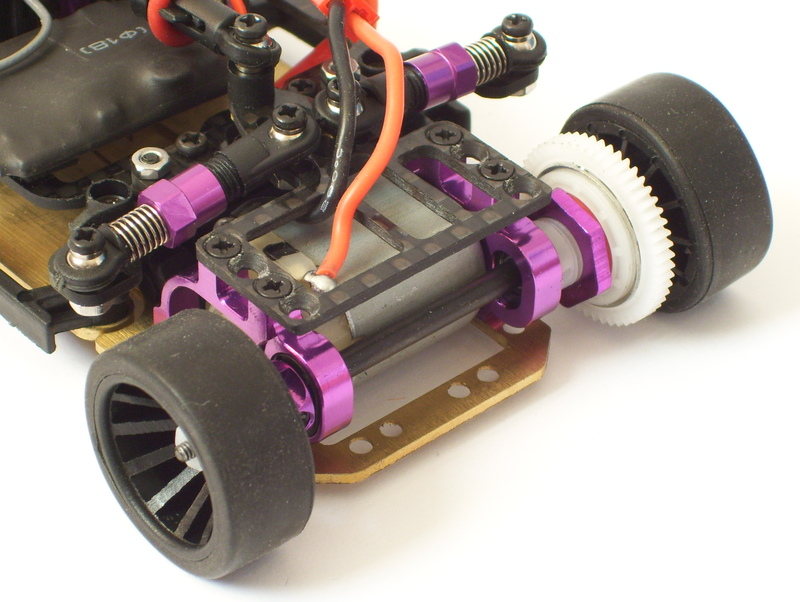 for wide front and 98mm or 102mm wheelbase.